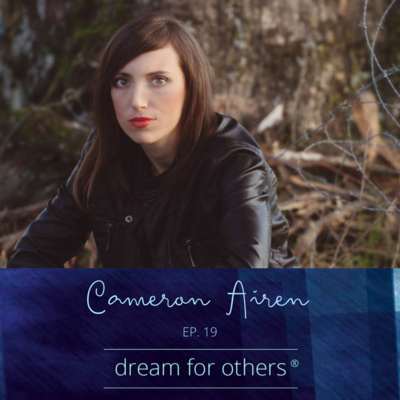 The Dream For Others podcast endeavours to hold space for big dreamers, thinkers and doers. It is hosted by Naomi Arnold, an award-winning life + business coach with a background in psychology, health, business and human rights. Together, let's dream for you, dream for me and dream for others. 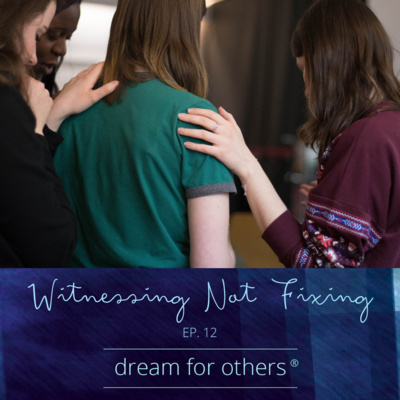 In this episode, Naomi reminds us of how important it is in conversations to often come from a place of witnessing not fixing. One of the mistakes we often make in our personal and professional relationships is to immediately want to fix or find a solution when someone shares a problem with us or shows emotion in our company - but this can sometimes make the person feel unheard and alone. In this episode Naomi shares some tips for how you can practice changing this and become skilled at witnessing not fixing. For show notes, links and resources visit www.naomiarnold.com/ep12-witnessing-not-fixing. 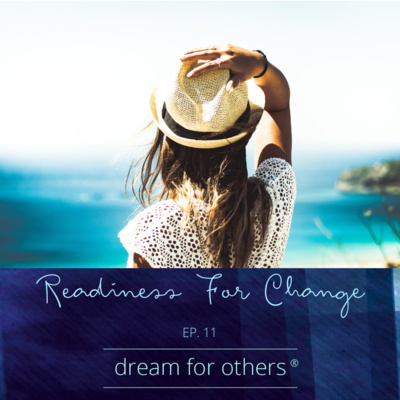 In this episode, Naomi introduces listeners to the Stages of Change framework, using an example from her personal life to illustrate the stages one can go through when it comes to readiness for change. She also discusses how being aware of this model can be useful of coaches, managers, health professionals and even individuals when it comes to aspiring to or assisting others with change. For show notes, links and resources visit www.naomiarnold.com/ep11-readiness-for-change. 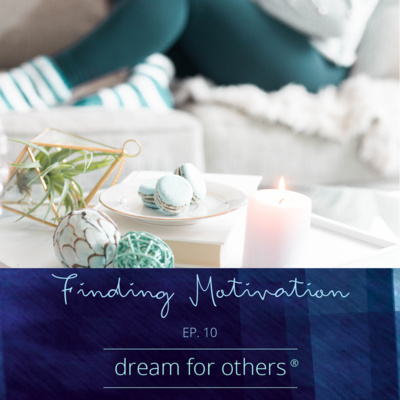 In this episode, Naomi discusses the concept of 'finding motivation'. She explains how there is a difference between how we talk about motivation and our experience of motivation - and how understanding this difference is a key to actually 'finding motivation'. For show notes, links and resources including an excellent article by her Dad (Dr Geoff Arnold - referenced in the episode) on this topic, visit www.naomiarnold.com/ep10-finding-motivation. In this episode, Naomi introduces listeners to a decision making framework that can be used when they feel stuck or confused between options. She uses an example for her own life when she was struggling to make a decision to illustrate how this framework helped her get unstuck and move forward. 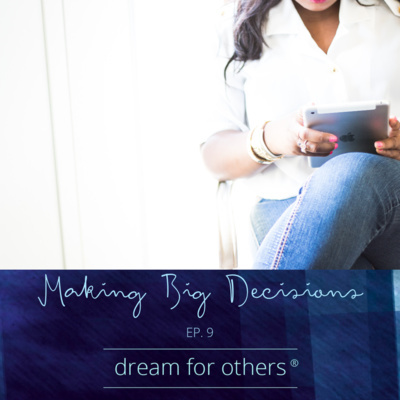 For show notes, links and resources visit www.naomiarnold.com/ep9-making-big-decisions. 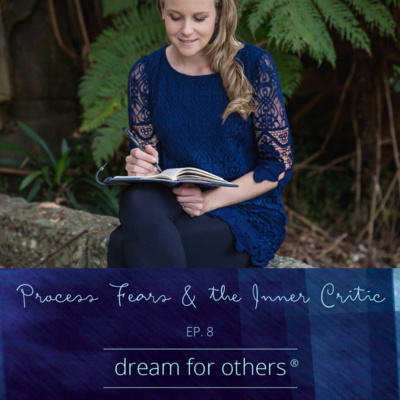 In this episode, Naomi shares her 4-step process for processing fears and the inner critic. She does so using her fear of public speaking as an example or case study. Before listening to this episode, you might like to download her free Process Fears and the Inner Critic infographic to refer to or use in the future. Access show notes, links and resources via www.naomiarnold.com/ep8-process-fears-and-the-inner-critic. In this episode, Naomi talks about the benefits that can be realised by having a contextual view of 'support'. 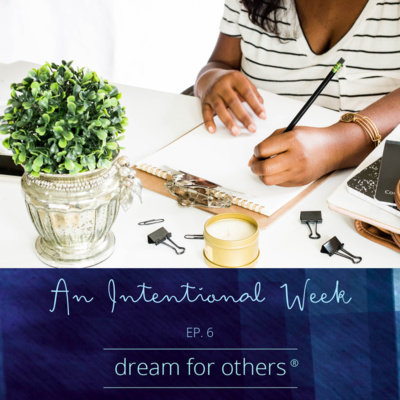 She shares how she has learned to consciously create a support network and be discerning about who and where she turns for support depending on the context. 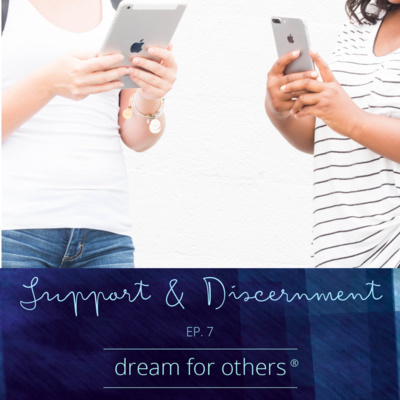 For show notes, links and resources visit www.naomiarnold.com/ep7-support-and-discernment. 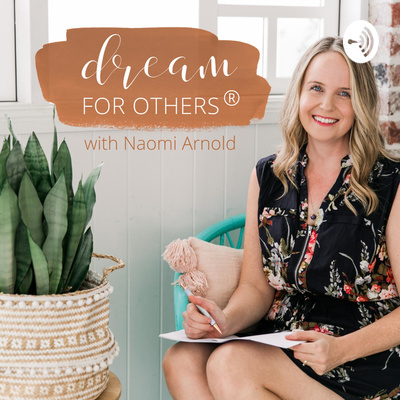 In this episode, Naomi talks you through a simple 3-step process that she and her co-hosts (Amanda Rootsey and Nicola Newman) of the Gentle Business Mastermind do every Monday with their members to help set up an intentional week. This quick but simple process can be done on your own, with an accountability buddy or with your team to increase the likelihood of you having the week you need. Access show notes, links and resources at www.naomiarnold.com/ep6-an-intentional-week. In this episode, Naomi discusses an article she read about softly spoken managers. 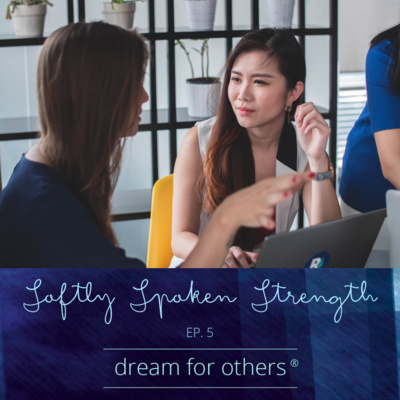 She shares stories of how she discovered that being softly spoken can be a strength - after years of holding herself back thinking it was a weakness. Access show notes, links and resources at www.naomiarnold.com/ep-5-softly-spoken-strength. In this episode, Naomi introduces listeners to Professor Jim Ife's four perspectives on power. 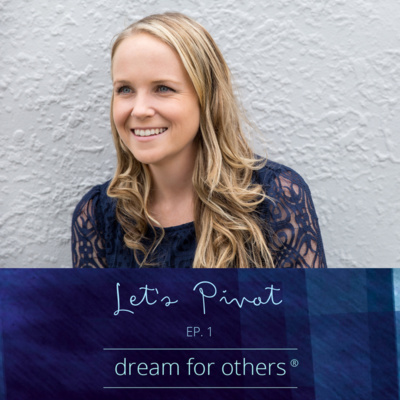 If you are someone who is interested in empowerment (in personal or professional contexts), you might like to listen to this episode. Naomi uses digital entrepreneurship as an example of how one can use Ife's perspectives to imagine different ways that one could act to create social change in the industry - with the hope that you can follow a similar process to identify different ways that you can create social change in your context too. You can find show notes, links and resources at www.naomiarnold.com/ep4-power-and-empowerment. In this episode, Naomi guides you through her 8-step process to creating a Success Plan using her Becoming Framework. This process can be used by individuals, business owners and/or teams in workplace settings. Beware: Naomi will ask you lots of questions during this episode. If you would like a copy of her free infographic to refer to during the episode, you can find it here. Access show notes, links and resources via www.naomiarnold.com/ep3-becoming-framework. 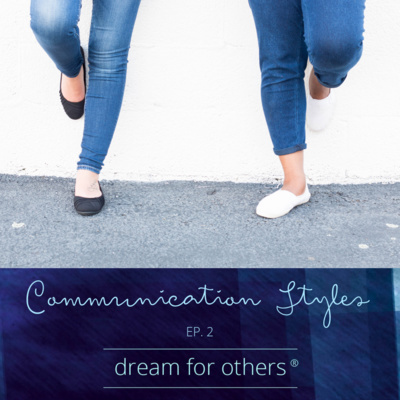 In this episode, Naomi will help you identify your primary communication style. Is it passive, passive aggressive, aggressive, or assertive? And which other styles do you sometimes use too? How can you practice communicating in a more healthy way knowing this? She also provides personal examples of where she has used the four communication styles and what she has done to try and change some of these behaviours. Before listening to this episode, you might like to complete her free Communication Style quiz. Access show notes, links and resources for this episode at www.naomiarnold.com/ep2-communication-styles. 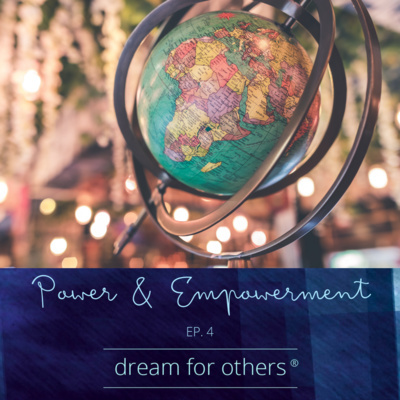 In this episode, Naomi announces the return of the Dream For Others podcast and briefly shares how it will change direction moving forward. She also summarises some of the responses to a recent survey her newsletter subscribers completed and how these informed the rebirth of the podcast and the creation of a range of free and paid resources. This brief episode serves to update her audience on what is to come - and she cannot wait to then dive in to different topics of interest in future episodes. You can have a sneak peak of upcoming episode topics here. So, here goes, let's pivot. May the podcast help you bring to life the dreams you hold for yourself, your loved ones and OTHERS. Access the show notes, links and resources via www.naomiarnold.com/ep1-lets-pivot. Brittany Lauga MP discusses politics, social change, and making a difference in your local community. Sharyn Holmes (Gutsty Girl) talks all things art, activism, leadership and social justice. One of Australia’s most prolific and well-known authors of Aboriginal literature Dr Anita Heiss discusses how she uses her platform to raise the social consciousness of audiences and contribute to creating social change. 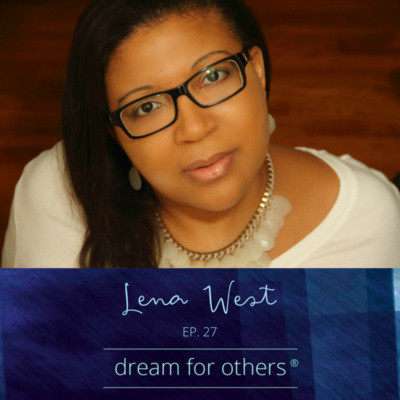 Leesa Renee Hall - a writer, storyteller and diversity advocate - discusses creating change through writing, the importance of asking questions, the different types of activism, being a highly sensitive introverted empath, and more. 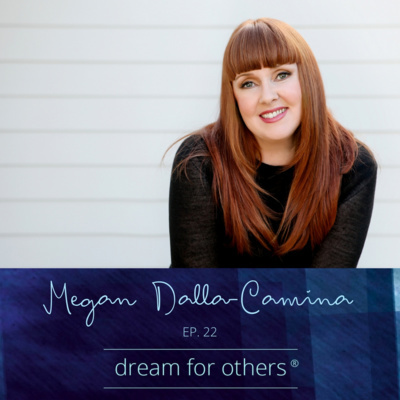 Megan Dalla-Camina - business strategist, speaker, researcher and author - discusses personal leadership, entrepreneurship, helping women rise, and the little things we can do that make a difference. See show notes at www.naomiarnold.com. 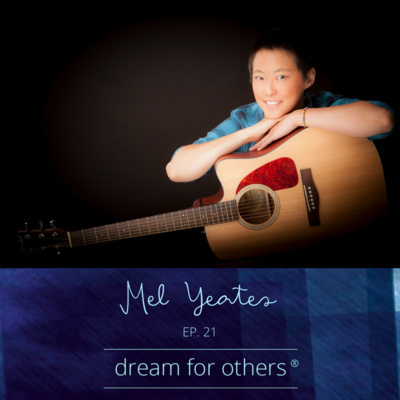 Mel Yeates from A Girl, Her Car + Her Guitar talks about raising $100,000 for Love Your Sister and beyondblue by roadtripping + busking around Australia. See show notes at www.naomiarnold.com. 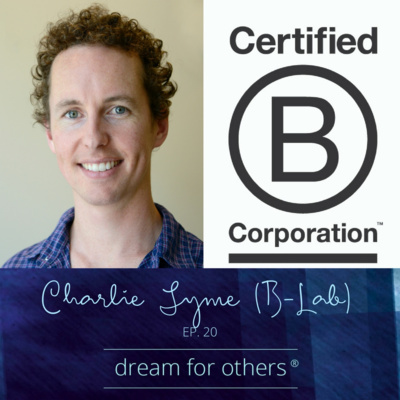 Charlie Syme (from B-Lab) discusses how we can use the power of business for good, become a certified B-Corporation, and use personal leadership to help shape a better world. 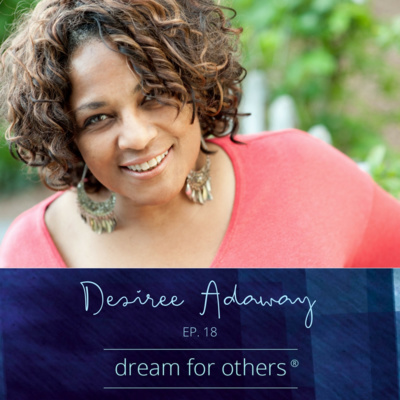 Writer, coach and speaker Desiree Adaway leads difficult conversations on race, class and gender. See show notes at www.naomiarnold.com/dream-for-others-podcast. 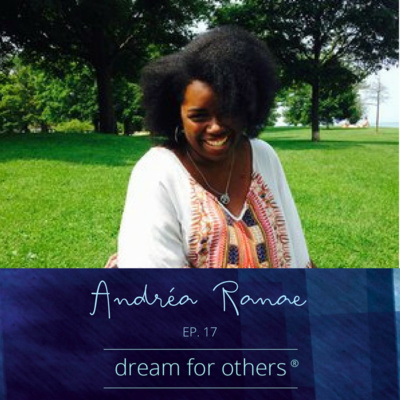 Andréa Ranae, founder of Coaching As Activism, discusses how we can integrated personal development and social justice. See show notes at: www.naomiarnold.com/dream-for-others-podcast. Alan Crabbe from Pozible chats about how we can use a crowdfunding platform like Pozible to secure funds for our Dream For Others, plus becoming B-Corp registered and running an ethical and environmentally friendly business. See show notes at www.naomiarnold.com/dream-for-others-podcast. Amanda Rootsey from Shine From Within chats about eco-fashion, eco-living, going vegan, living and working gently, and values-based business. See show notes at www.naomiarnold.com/dream-for-others-podcast. 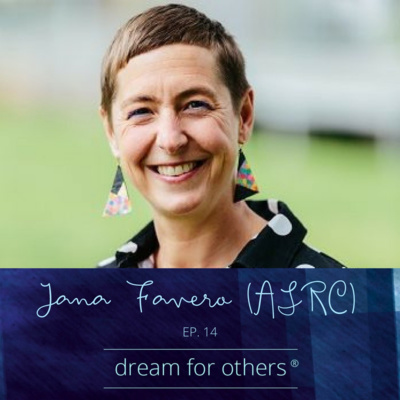 Jana Favero from the Asylum Seeker Resource Centre (ASRC) joins us to talk about the plight of those seeking asylum and how we can help make a difference. See show notes at www.naomiarnold.com. Actress, musician, director, producer and writer, Bethany Joy Lenz shares her story on using her public profile for philanthropy and her advocacy efforts. See show notes at www.naomiarnold.com. 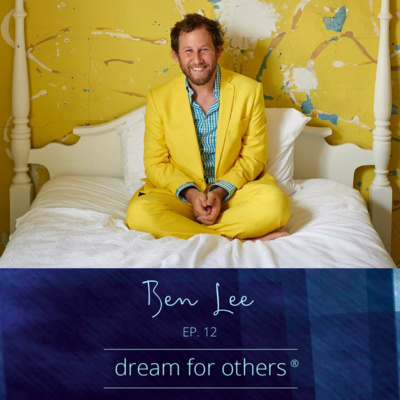 Ben Lee is a musician, singer-songwriter and multiple ARIA Award winner. In this episode he discusses his central mission, raising consciousness, ethical business, music, gurus and more. See show notes at www.naomiarnold.com. 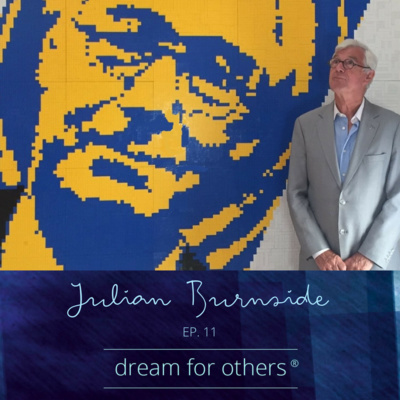 Julian Burnside AO QC is an Australian barrister, human rights and refugee advocate, and author. In this episode, he discusses refugees, activism, political leadership, and the arts. Find show notes at www.naomiarnold.com. 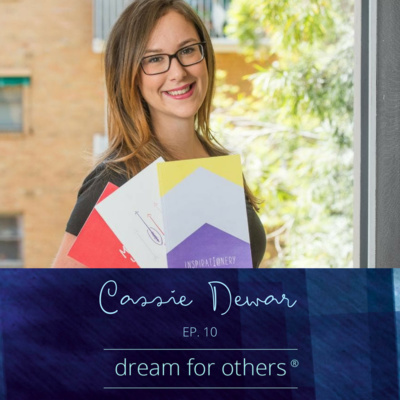 Cassie Dewar, the founder of the social enterprise Inspirationery (a stationery label designed to inspire you to make your mark on the world) discusses how she gives 50% of profits to support women and girls, creates environmental friendly and ethically made profits - how we live and work in alignment with our values, and create the change that we want to see in the world. See episode notes at www.naomiarnold.com. Writer, human rights activist, social researcher and founder of Freethinker Co shares how we can use writing and stories to change the world. See episode notes at www.naomiarnold.com. 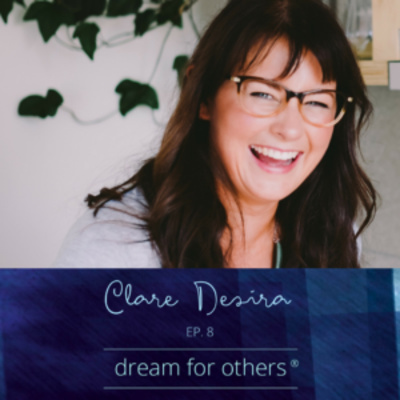 Coach, speaker, product developer and founder of the Top Five Movement, Clare Desira discusses how we can use a daily gratitude practice to change the world. See show notes at www.naomiarnold.com. 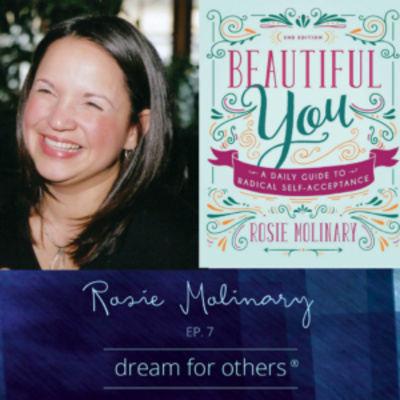 Passionate activist, author, and non-profit founder Rosie Molinary shares her experience in establishing non-profits, speaking up, and instigating social change. See episode notes at www.naomiarnold.com. 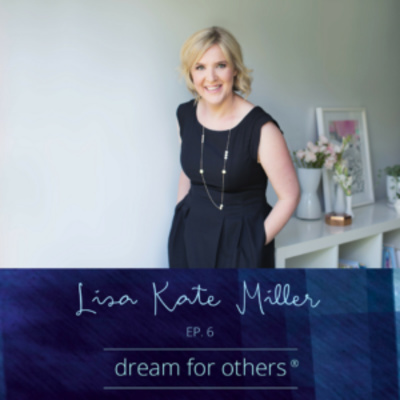 Business Coach and Digital Strategist Lisa Kate shares her views on 'better business' and advice on how to use our businesses as a force for good. See episode notes at www.naomiarnold.com. Komal Minhas is the founder of KoMedia, a digital media consultancy, and the producer of Dream, Girl, a documentary that tells the stories of inspiring and ambitious female entrepreneurs. In this episode, we talk about using film to change the world - and how you can too. See episode notes at www.naomiarnold.com. Natasha Ritz from LUSH Australia talks about the incredible work that they are doing as a campaigning company with strong ethical pillars and values to help create social change - and how we can do this too. See episode notes at www.naomiarnold.com. 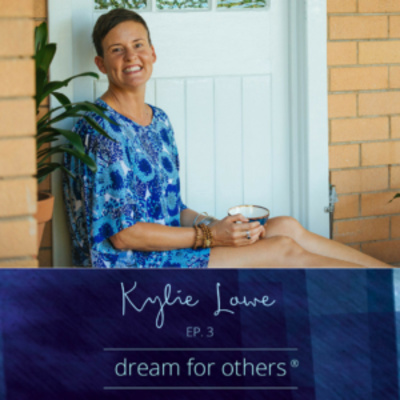 Kylie Lowe from Joining Hands talks about her experience in establishing a social enterprise, how we can make a positive impact, the importance of passion and community, and attempting to balance taking care of 'self' and 'other'. Access Episode Notes at www.naomiarnold.com. Natalie MacNeil from She Takes On The World (and the author of The Conquer Kit) shares her passion for entrepreneurship and the different ways that we can change the world as entrepreneurs. Access Episode Notes at www.naomiarnold.com. 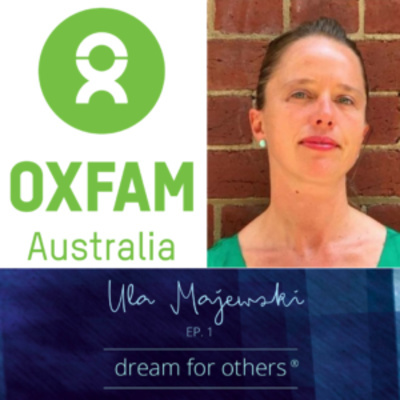 Ula Majewski from Oxfam Australia talks about what they do, causes that matter to them, ways that people can support these causes, and how we can help by using our platform and voice as a force for change. Access Episode Notes at www.naomiarnold.com.